Just like the leader wallet you probably have in your gear bag, this Wallet allows you to save multiple Leaders to multiple Wallets for later reference. Think of them as a favorites list or a play list. 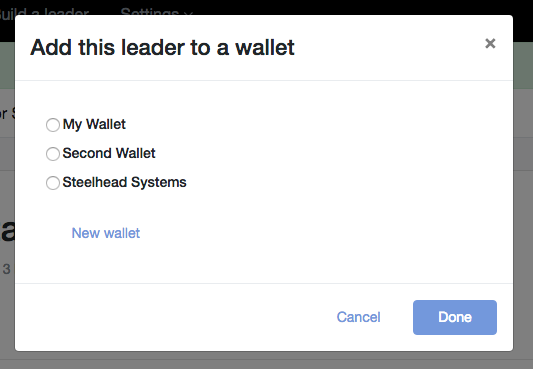 In this example I have 3 Wallets, "My Wallet, Second Wallet and Steelhead Systems". Over time I'll add cool Steelhead rigs to my "Steelhead Systems" Wallet. You can name your Wallet anything you want.